Many people don’t know the different parts of a door – they don’t think it’s significant information. Believe it or not, knowing the different door parts can help you prevent damage and save you money. Have you ever had a problem with your door but couldn’t pinpoint the problem? If you knew the different door parts, it would be much easier. In this article, we’ll go over the different parts and terminology of a door. By the end, you’ll be an expert on everything doors! Let’s get started. There’s a lot of terminology that you’ll need to know. It’s also useful information for repairing or replacing a door. A door system or door unit is made up of two parts: the door frame and the door slab. The slab is the physical door while the frame is everything that encases it in the opening. The faces of your door are its surfaces. However, this doesn’t include the flat edges. There are also three types of doors: entry doors, patio doors and storm doors. 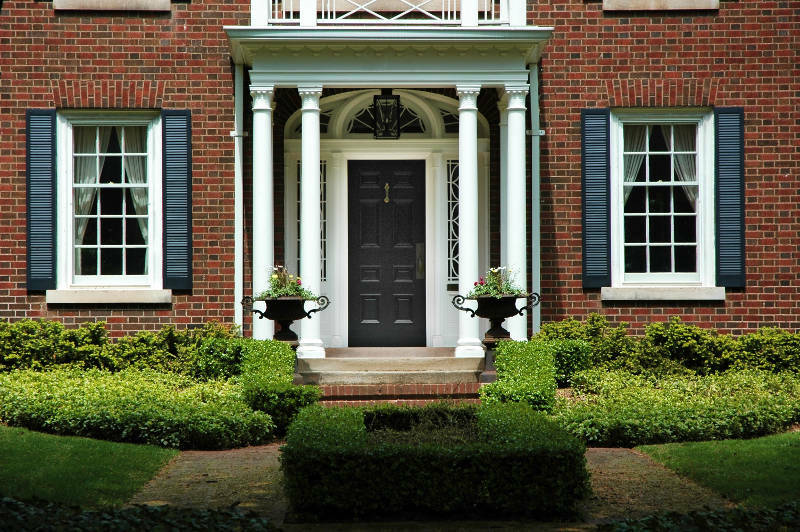 Entry doors are typically your front, back and side doors that allow you to enter your home. Patio doors are entrances to patios. There are two types: French or swinging patio door and sliding or gliding patio doors. French doors swing open on a hinge and are often double doors while sliding patio doors operate on a sliding track. Storm doors are installed on the outside of your entry doors and protect them from the elements. You can get a full-view, mid-view or high-view storm door. Each “view” refers to the size of window in the door. That means a full-view storm door has a full window, mid-view has a half-sized window and a high-view has a 1/3 sized window. Swinging doors can swing either direction. These are called in-swing and out-swing doors. Depending on its function and where it’s placed, this is very important to know before getting a replacement door. Also, the placement of the hinges changes the doors as well. There are right-hanging and left-hanging doors. These different styles determine how the door is opened. Doors can feature one panel, two panels or three panels. Each panel can be active or inactive meaning they can open or they’re stationary. Now that terminology is out of the way, it’s time to get to the parts of a door. What better place to start then the door frame’s parts? Your door frame is what encases the door slab and keeps it in the frame. The frame is made up of several different parts that you should know. The casing is the part that you typically see. It’s the decorative part that wraps around your door. Casing helps give your door style and looks great. The main support for your door are the jambs. They’re found on both sides and are what keep your door comfortably in the frame. The hinge jamb is what’s used to hang the door while the strike jamb is what allows your door to lock. The top of the frame is known as the head while the bottom is known as the threshold or sill. Along the perimeter of your door frame is the stop. The stop is what prevents your door from swinging too far when it’s closed. Some door styles, such as a barn door, don’t have stops allowing them to swing open 180°. On the sides of your stop are the rabbets. They give your door a clean, even look. 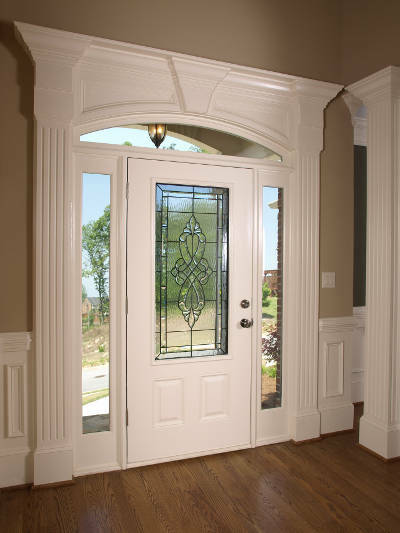 Sidelights and transoms are found on the sides and top of your door respectively. They’re little window panels that allow more light into your home. Both are gorgeous and will improve your home’s curb appeal. It’s finally time to look at the parts of a door. Your door is comprised of several different parts that you might not know exist. We’ll make sure you know each and every part by the time you’re done reading. You already know that the door itself is called a door slab. Many doors have raised or recessed patterns known as panels. The surface of your door may also have a glass insert or decorative window. The horizontal parts of the panel are known as the rail. The rail found at the very top of your door is a top rail while the one on the bottom is a bottom rail (makes sense). The rail that has the lock installed into it is known as the lock rail. The lockset is the actual mechanism that locks your door. There are many styles including knob locks, handle locks and deadbolt locks. The vertical parts of the panel are known as stiles. Much like rails, there are top, bottom and lock stiles as well. Beneath your door is the weatherstripping. This is what prevent drafts from sneaking into your home from underneath your door. It can wear down over time so make sure you check it before every winter and replace it if it’s damaged. If you have small windows located at the top of your door, they’re known as lites. 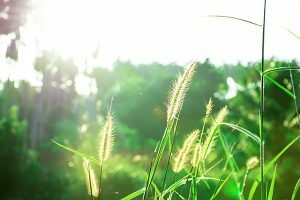 Their sole purpose is to allow more light into your home. Your door slab is attached to the frame with hinges. There are many different types of hinges that your can learn about here. Many of the parts mentioned above can be found on most doors but certain doors have their own set of parts. 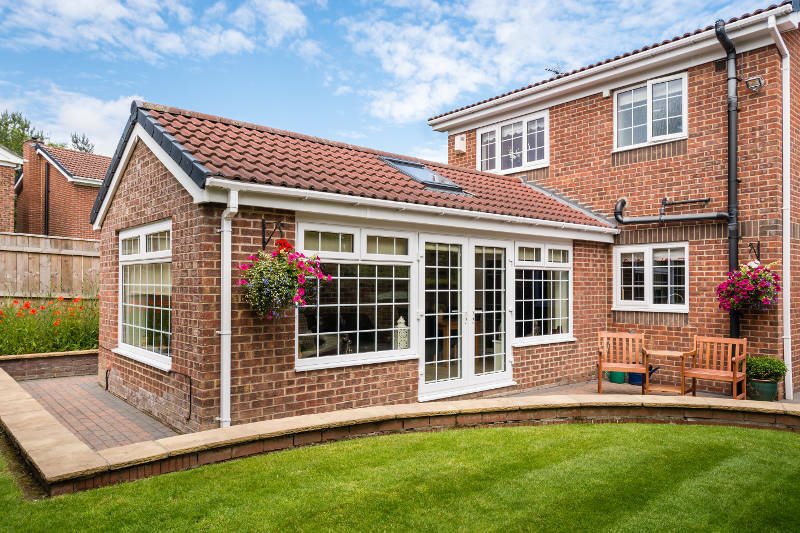 For instances, a sliding patio door has a sliding track which allows the door to open and close. The track is made up of a lower and upper track. The door fits within those tracks and moves along them using rollers. Also, most patio doors have an active and inactive panel. These are known as the sliding panel and the fixed panel. Most sliding patio doors have a handle that allows you to pull the door along the track. When you want to lock the door, they have latches that lock into the door frame and prevent the door from moving. 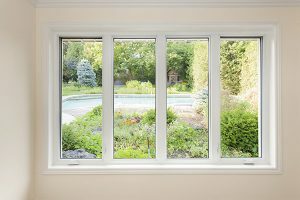 The large window of a sliding patio door should be double or triple pane glass because it’s the more energy efficient option. Between each pane of glass is argon gas. Argon is much denser than normal air so it’s more difficult for outside air to pass through to the inside of your home. 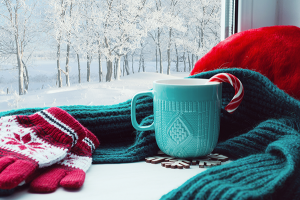 This will keep your home comfortable year round. Patio doors, like windows, can also have grids running along the glass. This adds visual flair and plays with how light enters your home. Like patio doors, storm doors also have parts exclusive to them as well and we’re going to go over them for you. You already know that there are three styles of storm doors: full-view, mid-view and high-view. Some storm doors have retractable screens and allow you to put glass windows in them for the winter. Speaking of screens, there are also metal mesh screens which are more durable than a traditional screen. They’re perfect for homes with pets or small children. Storm doors also come with closers which dictate how quickly or slowly your storm door will close behind you. Kick plates add structural integrity, strength and durability to your storm door. They’re usually found on the bottom part of the door’s face. Also, beneath your storm door is the bottom sweep. Like weatherstripping, this helps prevent drafts from getting into your home through your door. There’s a wide variety of hardware available for your door. You already know that there are many different locks available but what other hardware can you get for your door? How you open your door is important. You can use a door knob or even a handle. Most hardware stores have many options available from which to choose. While most people have a mailbox, mailslots are a great addition to your door. They add a traditional look that’s sure to draw attention. Knockers are in the same boat. Sure, you have a doorbell, but knockers give your entryway sophistication and style. Knowing the parts of a door is extremely important. You’ll be able to pinpoint problems and determine their severity without hiring a professional. It’ll also make replacing your door much easier. 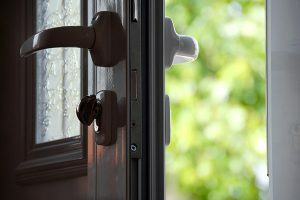 Speaking of replacing your door, if you’re in need of a new entry, patio or storm door, get a free quote from Feldco. Our product specialist will measure and fit your home with the door of your dreams. We also offer a wide variety of styles and colors to ensure that you’re getting exactly what you want. Get a free quote from Feldco and see why we’ve been named America’s #1 door company.